This four-page billing and coding reference sheet, designed for long-lasting usability, contains the most commonly used E/M, timed treatment, therapy, and HCPCS codes, as well as modifiers used in most chiropractic offices and more. A great reference tool for speedy answers! 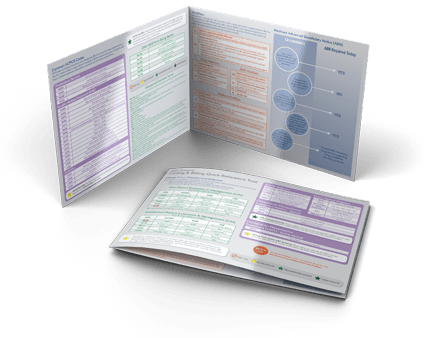 This four-page billing and coding reference sheet, designed for long-lasting usability, contains the most commonly used E/M, timed treatment, therapy, and HCPCS codes, as well as modifiers used in most chiropractic offices. Quick tips, hints, a glossary, ABN assistance and other guidelines are sprinkled throughout this low-cost, but invaluable and easy-to-use tool. This is a must-have to keep at the fingertips of every billing and coding team member in your practice! While not meant to replace your coding book, it’s a great reference tool for speedy answers, right when you need them.